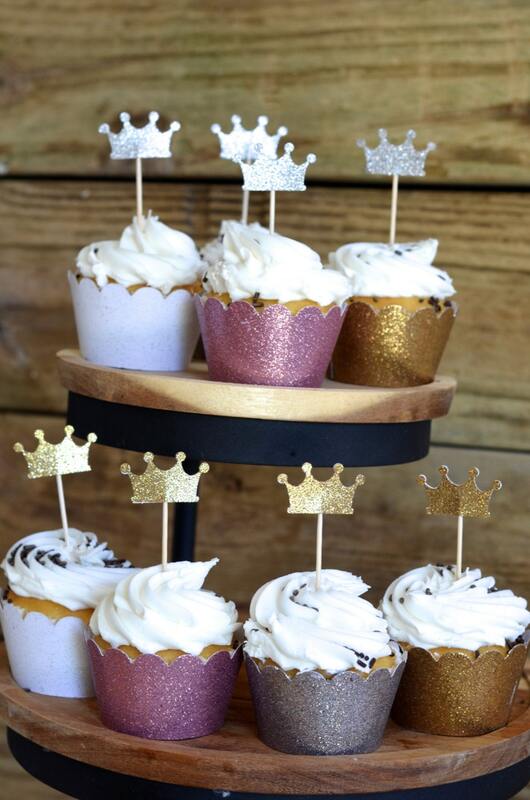 Top your desserts in royal style with these magical little glittered crowns (they also look quite festive on a cheese or hors d'oeuvre tray!)! These crowns are each 1.5" (3.75 cm) wide and 7/8" (2 cm) tall, and when attached to the wooden picks are about 3" (7.75 cm) in overall height. 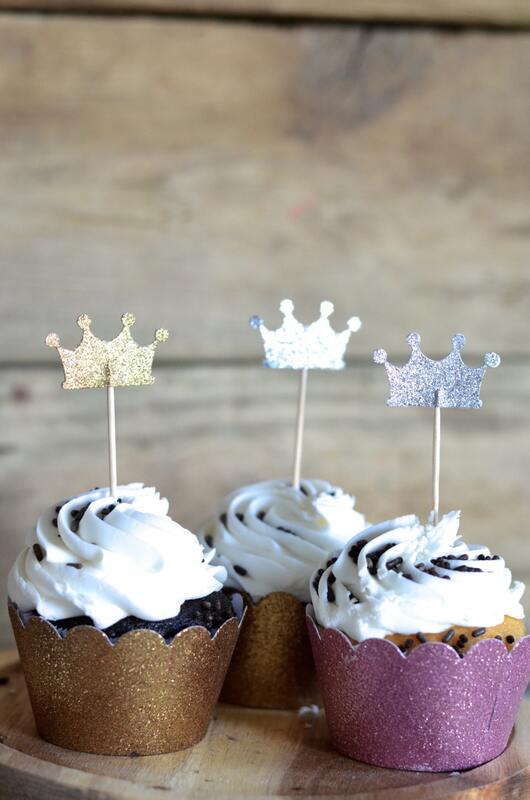 We make these from premium quality glittered cardstock, and each crown is glittered on both sides. 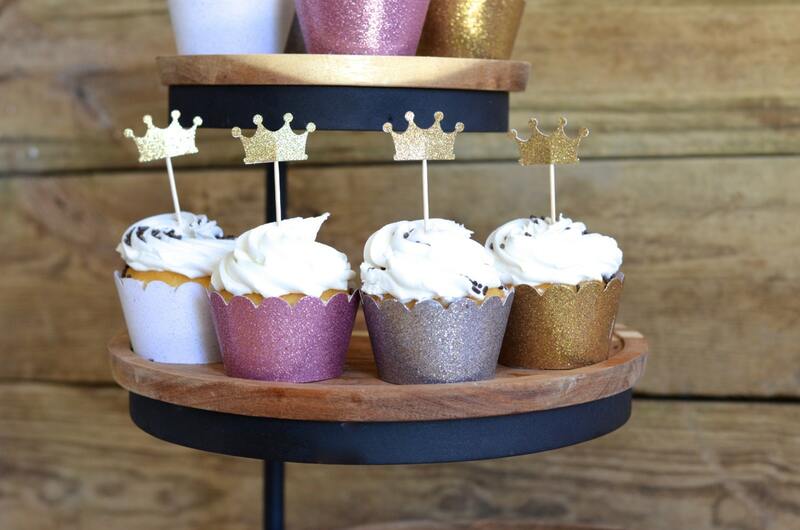 We offer these crowns in Gold Glitter and Silver Glitter, or a mix of both colors - if you would like other colors (such as pink or blue! 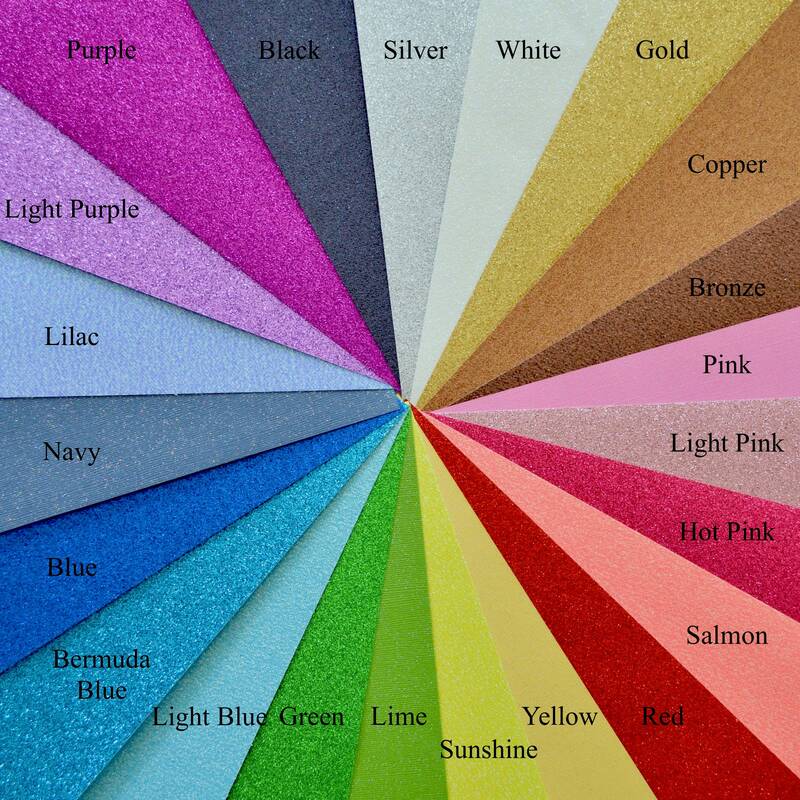 ), contact us for a custom listing - we love custom requests! 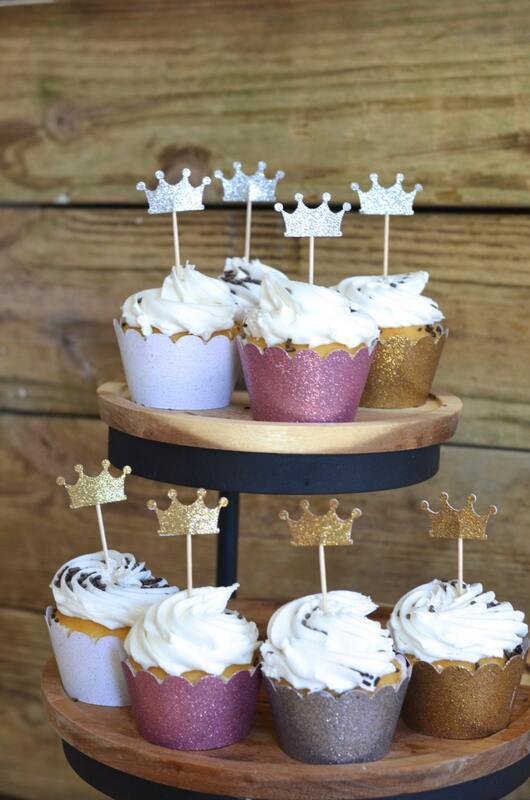 These cupcake toppers matched the theme of the party so well! Love them! They were also shipped and received very quickly. Great item! Very happy with purchase. Fast shipping!